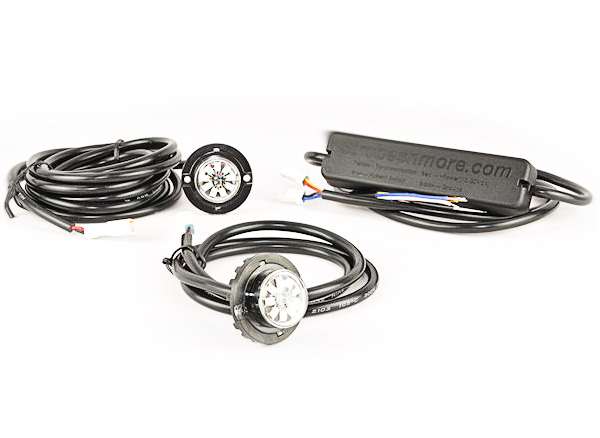 The E92 Series hide-away LED kits are the brightest and perfect solution for undercover vehicles utilizing the latest in LED technology. 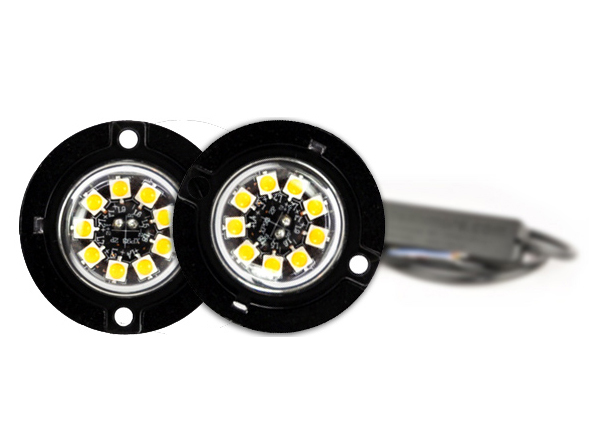 Each LED in the E92 Series LED kits features 9 incredibly bright Next Generation LEDs. 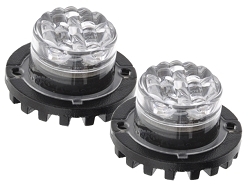 The E92 Series kit utilize a single flasher with 21 built-in Flash Patterns. 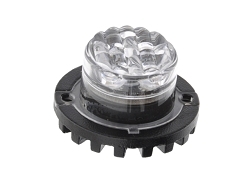 These can be fully synchronized with other E-Series light heads. 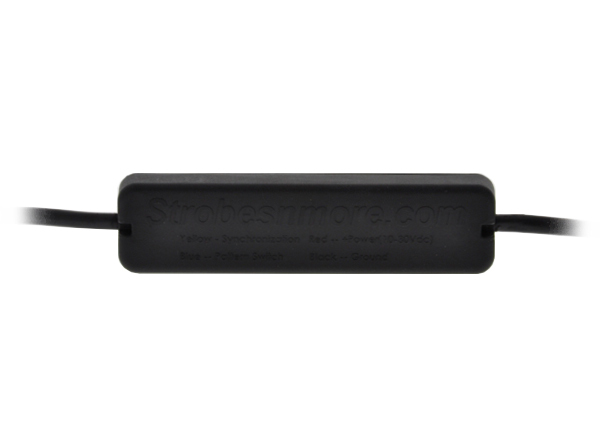 The E-Series are fully encapsulated, which makes them 100% waterproof and vibration resistant. Designed by professionals for professionals the E-Series are designed for primary warning, not "auxiliary or secondary warning" like so many other similar lights sold today. 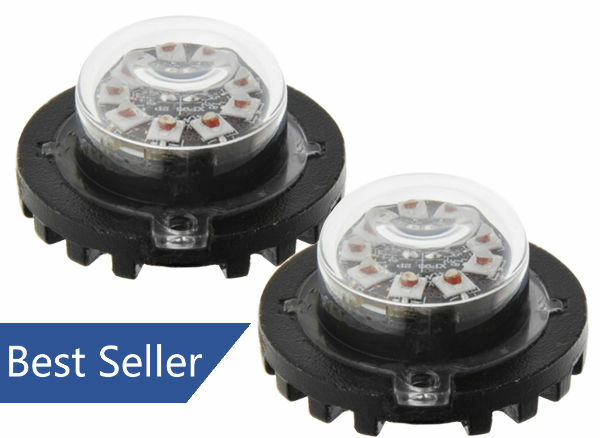 The E-Series lights offer greater flash pattern selections, superior light output, synchronize capable, in an easy to install undercover design. Constructed with heavy duty gauge cables. Utilizes industry standard 1 inch hole. Optional Black Flanges are available below for surface mounting. Wondering which hide-away is best for you? View our informational video! 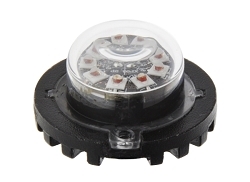 Here Louis covers all you need to know about today's LED hide-aways including dual color modes, steady override, mounting, wattage, bulb color vs lens color n’ more! Have two sets of these synced together in the taillight housings of my car. Red light behind the red lens and clear light behind the clear lens. The flash patterns are awesome (especially when doing 4 lights). These are also extremely bright, and I would recommend them to anyone, especially for the price. I went from a full lightbar on my car to a slick top set up and needed some side warning. I went ahead and ordered these, and they work great! They are very bright, and do exactly what they are supposed to do. Installation couldnt be easier. Drill the 1 inch holes in the housings, put the two screws in, and run the wires. I really liked the longer wires on one light. It easily ran from the passenger side of my crown vic to the drivers. 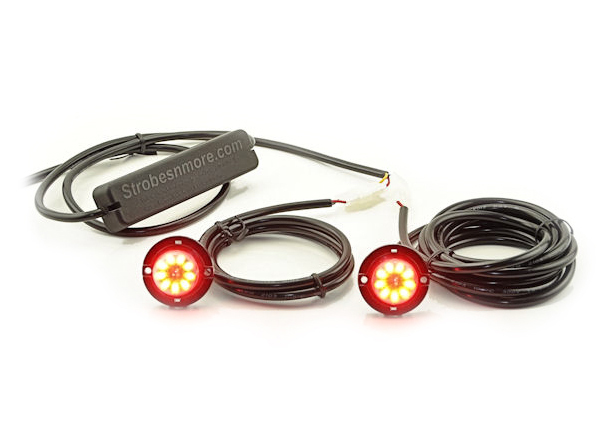 By far one of the best sets of undercover LEDs on the market today! If you are thinking about these lights, stop thinking and start buying. GREAT kit to have, very easy to install and super bright. I have a total of 3 of these kits over the years. I work on the side of the road and in construction zones at all hours of the day and night, and it's crucial that I can be seen. Having strobes that are bright and effective is important to me. These strobes fit the bill. Extremely bright and easy to install. If your vehicle needs to.be seen hen these are for you. Extremely bright lights, i have 3 sets sync'd together in the rear of my truck and it looks awesome. 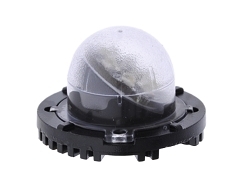 i would definitely recommend these lights for the quality and the price. I've considered other brands, but I like the fact that these guys have some YouTube videos showing exactly what you're purchasing. These lights are awesome, super bright even in daytime. I put them in the back up lens of my truck. Almost too many strobe patterns to choose from! Just take your time and go through all the cycles to see what works best for you. 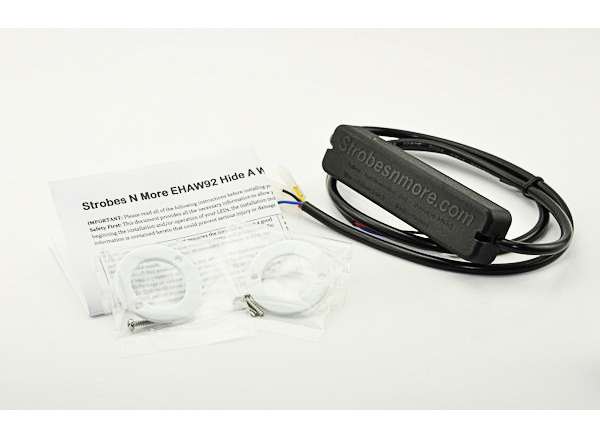 Q: Will this work and sync with two of the E6 next gen lights all off of one switch and that's all that is needed?